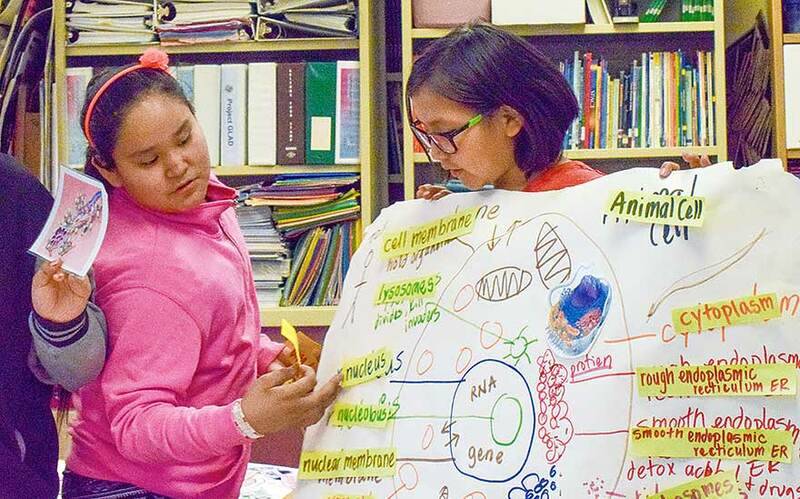 Students in Jolene Smith's 5th-grade class at Kayenta Middle School show off a visual aid Smith made for their classroom. In 2011, Jolene Smith was ready to retire. She had been teaching elementary school for 27 years. She felt burned out and didn’t know how much she had left to offer her students. “I thought, ‘Maybe it’s time to do something else,’” recalled Smith, now a 5th-grade teacher at Kayenta Elementary School. Then a friend in the Department of Diné Education told her about the Yale National Initiative, a program of Yale University that reaches out to public schoolteachers in challenging, low-income districts (mostly urban at that time) to strengthen their subject knowledge and help them develop new teaching strategies geared to the specific students they teach. It was a Wednesday and the deadline was Friday. Smith quickly got her application together, and, to her surprise, was accepted. She and another Navajo teacher, the late Marilyn Dempsey of Window Rock, were the first rural, Native American teachers to enter the program. 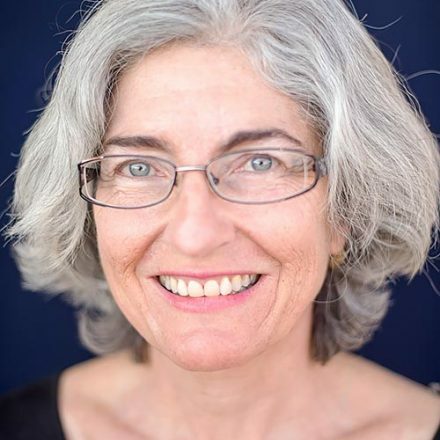 By the time Smith got back from Connecticut that summer, she had forgotten all about retiring and was writing a whole new curriculum for her next school year.